When last we left Cesar and his ape friends they were at the dawn of war with humans. 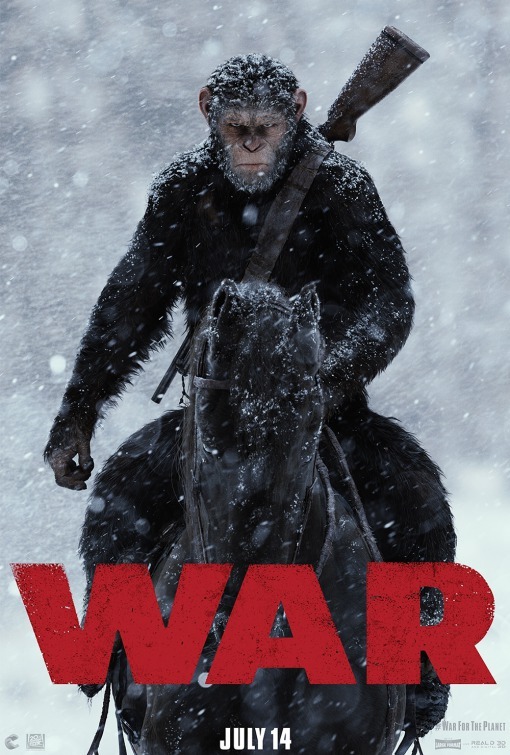 Now in a film that takes place 2 years after those events, we are getting the War For The Planet Of The Apes. This reboot series has been really good so far and this new film looks to continue this fresh take on the classic franchise. Watch the first trailer below and check out the film's poster. War For The Planet Of The Apes arrives in theaters July 2017.